President Muhammadu Buhari has condemned the recent violence in Kaduna State, which led to the death of 20 members of the Adara community. These unfortunate deaths are the latest incident between the Adara and Fulani peoples in the state, who have a long history of mistrust between them. The President, in a statement by the Senior Special Assistant on Media and publicity, Garba Shehu, also condemned the resurgence of cultist killings in Rivers State and ordered for increased community and law enforcement action against its escalation. He appealed for peace and decries the on-going culture of ‘an eye for an eye’ that has fuelled a number of attacks and reprisal attacks, with the two communities at different times, suffering casualties in Kajuru and Kachia local governments in Kaduna States. The President also appealed to indigenes of Kaduna and other Nigerians to refrain from comments in the traditional and social media, especially by people who have little knowledge of the history of the longstanding conflict. Such comments, he noted, can fuel further conflict in the area and between the two groups. 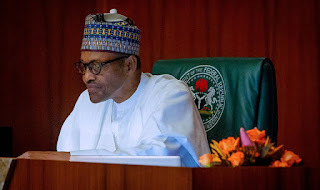 Buhari made a special appeal to traditional and religious leaders to be cautious with their comments on the conflict, insisting that whatever words they share publicly should not be inflammatory but be inspired by an interest in peace. In response to reports of the resurgence of cultism leading to loss of lives in Rivers State, President Buhari called on law enforcement agencies to intensify their efforts to end the menace before it further escalates.